LA JOYA — La Joya Juarez-Lincoln and McAllen High’s girls soccer teams met on the pitch for the second time this season Monday. Just like the first clash of District 30-6A giants, the match did not disappoint. 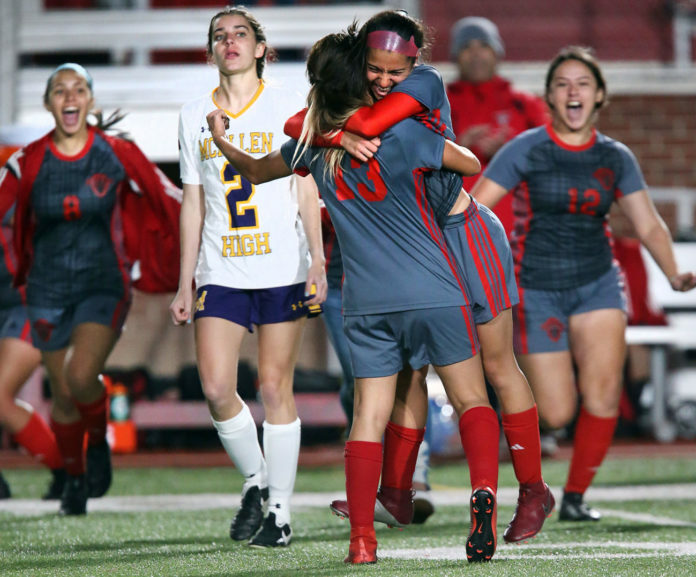 Even with a single goal in 80 minutes, the tempo was fast-paced and the skill level was an indication that RGV girls soccer is entering a new echelon. La Joya Juarez-Lincoln (12-1, 35 pts) was able to hang on and shut out McHi 1-0 behind a goal scored 12 minutes in by sophomore Pricilia Hernandez on a free-kick. With the win, the Huskies snapped the Bulldogs’ district winning streak at 50 games, dating back to March 2015. Visit RGVSports.com for the rest of the story.